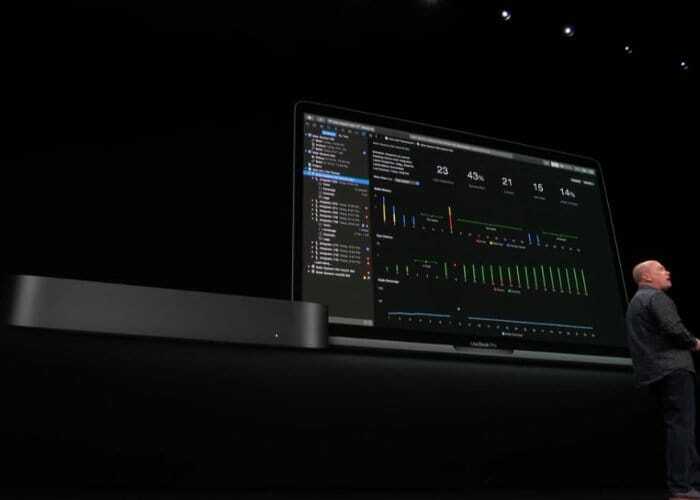 During the Apple Special Event held today on October 30th, 2018 at the Brooklyn Academy of Music, Howard Gilman Opera House, Apple has unveiled their new 2018 Apple Mac Mini computer system. 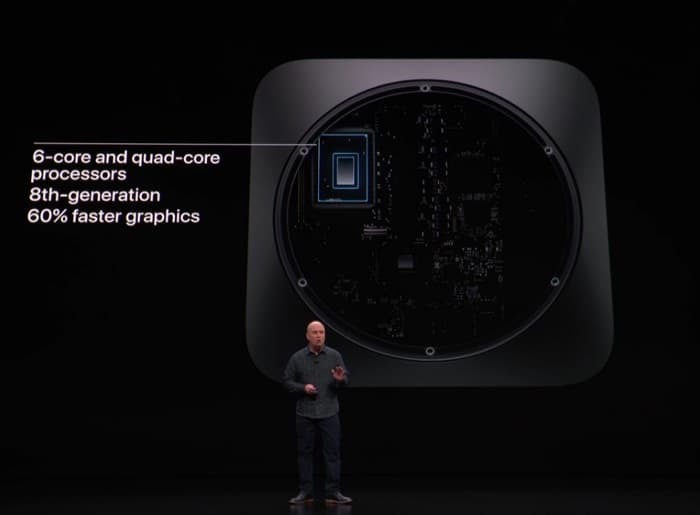 The new Mac Mini range is now five times faster than previous editions and is equipped with options to install either 4-core or 6-core 8th-gen processors capable of being supported by up to 64GB of RAM. 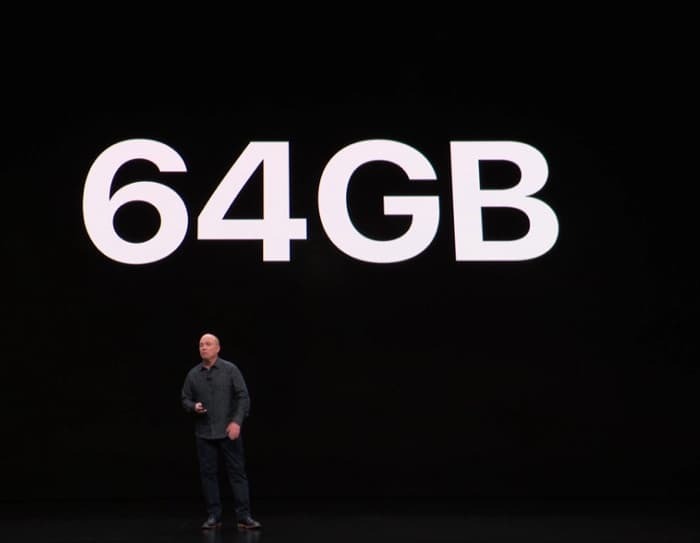 Storage with capacities up to 2TB double the capacity of the last generation systems. 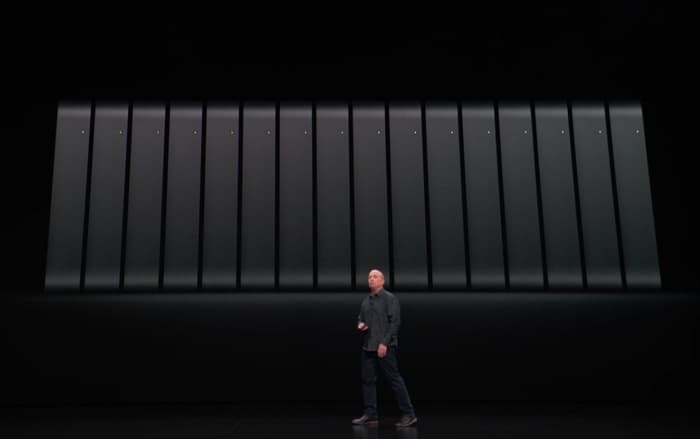 Entry-level Apple Mac Mini 2018 equipped with a Core i3, 8GB, 128GB will start at $799 and is once again encased in a 100 percent fully recycled aluminium casing. 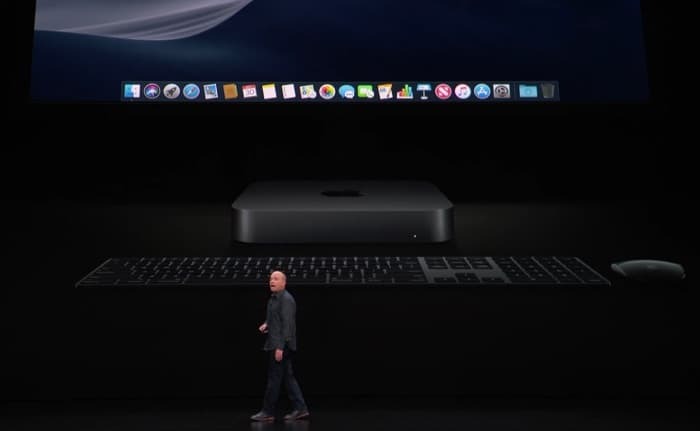 The latest Apple Mac Mini is now available to preorder and shipping will begin on November 7th 2018.